OneDrive for Windows 7 - a cloud service where information is stored for the Microsoft office suite. You can install the product on PC, portable gadgets. You can instantly use files in any format, size. Information is being synchronized on connected devices. The program allows you to open a common access for documents, folders. It has an interface identical to the utilities used. Storage capacity provided by the developer - 5 GB, it can be increased. Available online work through a web browser. 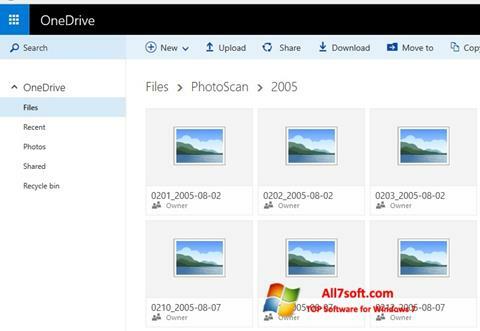 You can free download OneDrive official latest version for Windows 7 in English.